Ms. Thomas is a social entrepreneur whose professional life is centered on leading the creation of innovative finance solutions to drive economic development and social causes advancement. 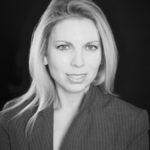 Currently Leah advises on Peacock Capital Advisor Group domestically and in the frontier markets. Recently, she was the founder and the CEO of mGood, a mobile platform for nonprofits to fundraise and to launch awareness campaign via the mobile channel. Prior to this, Leah co-founded and served as the Director of NetGuarantee, where she created a structured finance mechanism to enable faster delivery of life-saving mosquito bed-nets to Africa. Formerly the Senior Director of Global Product Development for AIG, where she launched some of the first microinsurance products (in parts of Africa and India) and credit risk solutions for emerging markets. Ms. Pedersen Thomas started her career in Management Consulting working for prestigious firms such as Accenture and Dalberg Global Development Advisors. She holds a dual MBA from Columbia Business School and London Business School. She is an appointed member of The Council on Foreign Relations and the Board Chair of Healing Hands of Joy (an Ethiopian maternal health non-profit). Mr. Edwards is the CEO of Full Spectrum NY and is responsible for the global direction of the company. Mr. Edwards has over 35 years of entrepreneurial business experience. As Chairman of the Harlem Business Alliance, Mr. Edwards continues to guide HBA’s mission as Harlem’s strongest advocate for strong local business entrepreneurship. He is also Chairman of Mosque of Islamic Brotherhood, the Harlem Police Athletic League Alumnae Association, and CCNY Adult Continuing Education Committee. Mr. Edwards is also Trustee Emeritus of the Milton S. Eisenhower Foundation in Washington DC. He has represented Full Spectrum New-York in trade missions to Vietnam, China and Brazil. He was cited by the New York Daily News as one of the ten most influential Harlemites. Professor Ndioro Ndiaye is the Deputy Director-General of the International Organization for Migration (IOM). Prior to this, she was appointed by the President of the Republic of Senegal to the post of Minister for Social Development. On behalf of the Senegalese Government, she coordinated humanitarian activities during the crisis between Senegal and Mauritania in 1989. As the supervising minister, Professor Ndiaye devised and implemented practical solutions to assist both Senegalese and Mauritanian migrants displaced by the conflict. From 1990 to 1995, Professor Ndiaye was Minister for Women’s, Children’s and Family Affairs. 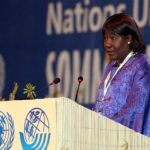 Thereafter, and until her appointment as Deputy Director-General of IOM, she resumed her numerous activities at the Cheikh Anta Diop University of Dakar, where she was highly instrumental in reforming tertiary education in Senegal. In 1990, UNICEF invited her to take part in preparations for the World Summit for Children. In that context, she proposed that the rich countries should plough back a part of debt service payments by poor countries into programmes to help children. She also made a major contribution to preparations for the World Summit on the Economic Advancement of Rural Women held in Geneva in 1992, which was followed by a meeting on the same topic in Brussels in 1994. She is one of the first African women who received an Aggregation from France. She specializes in odontology and stomatology. Souleymane Meite has wide experience in government, insurance and finance. Currently, he is the CEO of an insurance company, TSA (Tropical Société d’Assurances) located in the Ivory Coast. Prior to this, he served as Head of the Promotion and Study Department of the Staff Management of EECI ( Ivory Coast Electric Energy ) from 1974 to 1976. He served in the Ivory Coast Ministry of Economy and Finance. From 1978 to 1981, Mr. Meite worked as the Head of the Regulation and Study Office in the Direction of Insurance. From 1981 to 1989, he was appointed as the Permanent General Secretary of the Association of Insurance Companies Professionals. He was a member of the Ivory Coast Social and Economic Council from 1982 to 2000. He was member of the Board of Directors of companies like: PISAM-SOGEMED, ATCI, BANAFRIQUE, BOA-CI, BIAO-FINANCES, CICA-RE de 1991 à 2003. 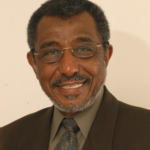 From 2010 to 2011, he served as the President of the steering committee for implementation of the Pool TPV. He was elevated to the rank of Chevalier and then appointed Officer of the National Order of the Republic of Ivory Coast. 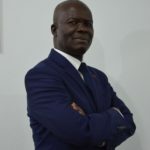 Mr. Meite holds a Bachelor in economic sciences in 1972 from the Abidjan National University and an advanced degree in insurance from Paris Institute of Insurance in 1978. Mrs. Diop is Co-founder, President, and CEO of Chip International, a New York-based advocacy organization dedicated to awareness of autism and to training in various methodologies in behavioral sciences in Africa. Mrs. Diop worked as the Quality Assurance Officer and Operations’ Officer, respectively, at CHIP(Children’s Home Intervention Program) in New York at a center for children with autism for 13 years. 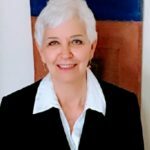 In 2011, CHIP International(Child Health Improvement Program) was born; previously she had worked at USAID/Senegal on health issues in the regional office for 7 years. She also worked as an Administrator in a psychiatric clinic on the Westside of Manhattan for seven years. She is a former psychiatric social worker with New-York State Kirby Psychiatric Hospital. Mrs. Diop has had other management positions in Senegal and Cote d’Ivoire over the past 25 years. She holds a Master’s of Science in Educational Psychology from Yeshiva University in New York City. A university economist and international consultant with a long experience in the evaluation and management of projects, Professor LeBel has a specialized understanding of economic development issues in Africa. 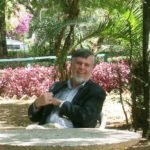 In addition to having taught in several universities in Africa, he has worked as a consultant to the World Bank, USAID, FAO, and UNESCO over a period of 30 years, having visited or worked in some thirty countries in Africa. With more than forty publications on economic questions and fluency in several foreign languages, he brings a fundamental level of expertise to the work of the Peacock Capital Advisors.Mr. LeBel holds a Ph.D. in Economics, Graduate School of Arts & Sciences, Boston University (1977) a M.A. in Economics, Graduate School of Arts & Sciences, Boston University (1969) and a B.A. in Economics, Washington College, Chestertown, Maryland (1964). 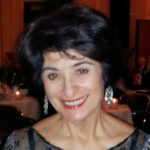 Ms. Flaum has over 35 years of management experience in business and technology. Most recently she was the Director of Legal and Compliance Technology for Credit Suisse. Prior to that she was Vice President of Client Services and Operations for Solbright, Vice President of Fixed Income Technology for Lehman Brothers, Derivatives, and Technology marketing for Bankers Trust and Mortgage Backed Securities Technology for Merrill Lynch. Ms. Flaum holds a Bachelor of Arts degree in Political Science and History from Brooklyn College and has completed an Executive Education Program – Delivering Information Services – at Harvard Business School. Mr. Mbodji is a forward -thinking IT leader with over 19 years of experience in aligning business needs to technology solutions. Currently, he is the Assistant Director, Enterprise Security Programs- Cyber Defense of Ernst & Young Global IT Services whose job is to resolve Information Security related challenges and to manage the timely delivery of Cyber Defense solutions within the Enterprise Security Portfolio. Prior to this, He was the IT Project Manager, Store and Credit Systems at The Home Depot from 2009 to 2013. 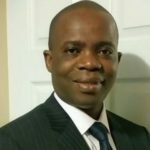 He served as an Engineering Manager, Solution Reliability at NCR Corp from 2006 to 2009. He worked as a Senior Systems Engineer at The Home Depot from 1993 to 2005. Mr. Mbodji holds a BS in Information Technology from the Southern Polytechnic State University.